‘Inspired by the torchlit portraits of Chad Coombs I decided to try the technique myself using my pocket Maglite’ says Nigel. I covered my kitchen table with a black cloth, hung from two old light stands and with the camera on a tripod I simply held the shutter open using a remote release and ‘painted’ the subject by moving the torchlight around it. After some experimentation I settled on an aperture of f/11 and an exposure time of 30 seconds, at ISO 200, which gave me plenty of time to work around the subject. 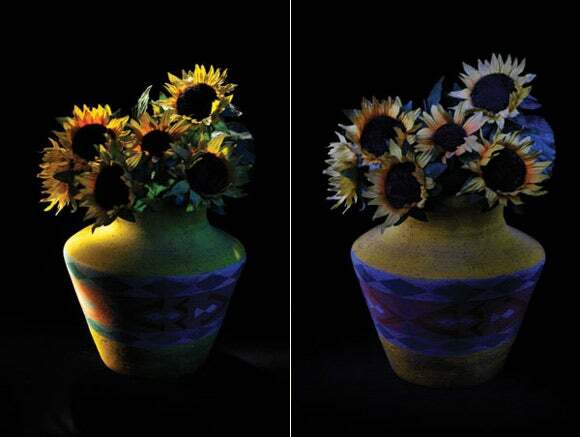 The great thing about this technique is that no two results are the same and you can have great fun creating backlight, spotlight or dappled light effects. Below Right: Experiment to find the best exposure for your torch. Here I used an LED mini Maglite, which was cooler and less bright, resulting in a blue cast and underexposure. 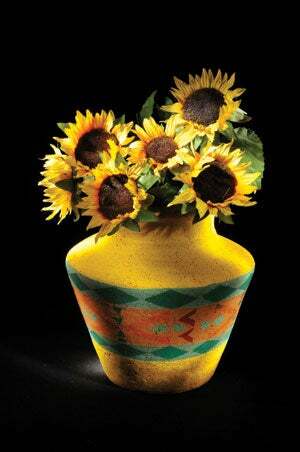 Below Left: Here I used the torch mainly from behind and to the side of the vase for a moody backlit effect.